The teaching profession is a thankless job, so they say. But it should not be the case. A noble profession as it is, every teacher must be appreciated and showered with blessings. Below are some preschool teacher gift ideas to ponder on. Our home designed, original and durable pocket charts are great gifts for preschool to elementary teachers to visually present tasks, games and activities at the center of the classroom. Choose one from our collection and we will ship it right away! My daughters had a blast learning about 2D & 3D Shapes with this FREE Sorting activity and our awesome new pocket chart from @apple_to_zebra (ad) To read our review of the pocket chart plus download the Free Shape Sorting Cards, click link in profile! You can never go wrong with this idea. Preschool teacher never seem to have enough pads, pens, highlighters, post-it notes and chalks. Place everything in a container that she can also use in the future. You may even consider creating a themed supplies basket such as a gift basket with felt manipulatives (colorful letters and numbers made of felt cloth). The idea is to put school supplies that the teacher needs to make the discussion as smooth flowing as possible. 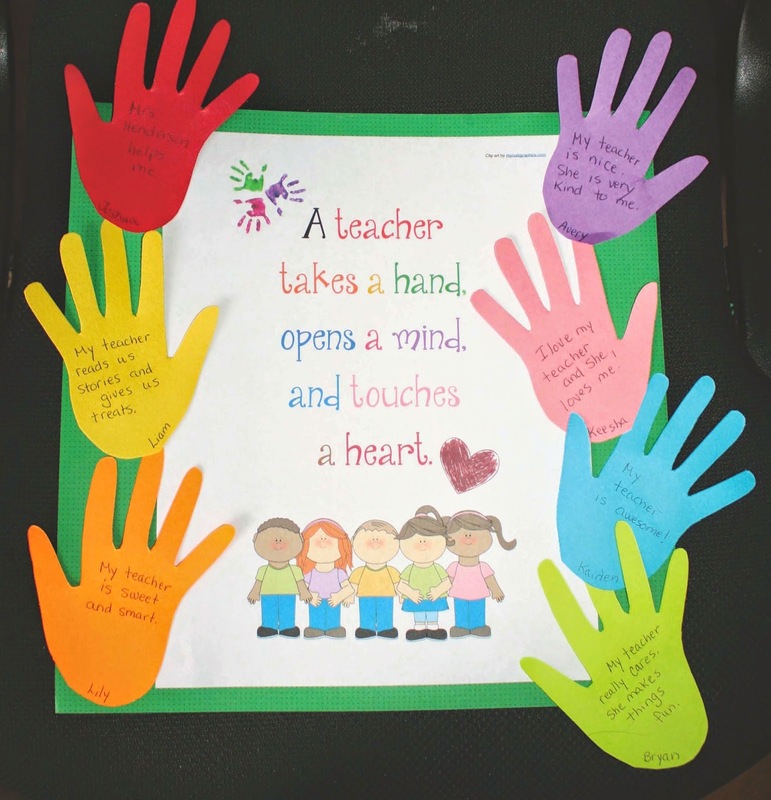 Student-made gifts will always have a special place on teachers' hearts. They treasure these gifts and tend to remember these more than store-bought ones (although the latter can be considered with a bit of personalization, of course). It's all about the effort and time the student (and, at times, parents) devoted to making the gifts. Remember, it is the thought that counts. Preschool teachers often have a collection of books they use during the discussion. And yes, adding another book to the said collection is a welcome idea. You can either choose a book that the teacher doesn't have yet or a favorite book that should be available in multiple copies. Either way, the teacher will surely appreciate it more so when the book includes a personalized message from the student. 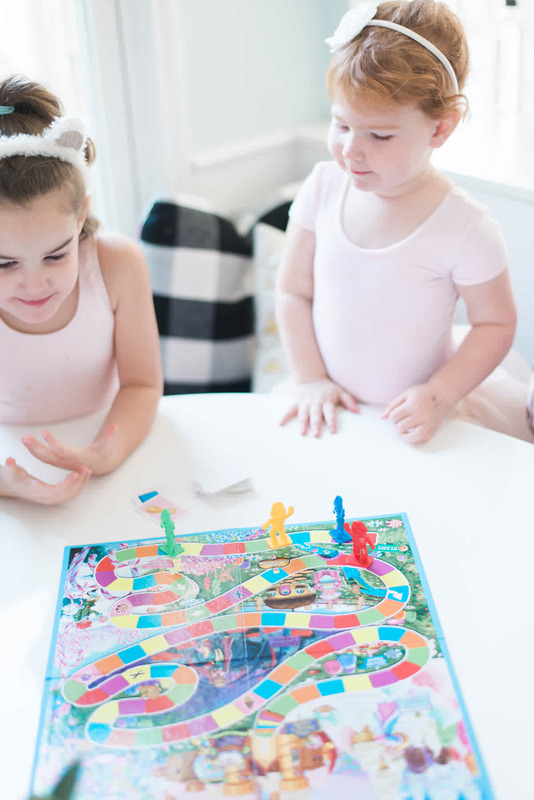 Games that keep the kids occupied while learning is always on the wishlist of preschool teachers. It can get really cold outside at times. Teachers will be grateful if you give her classic games such as Uno, Jenga, maze, puzzles and board games. 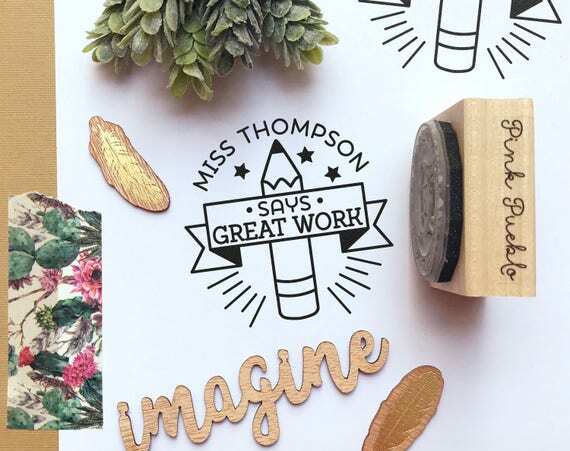 Grading papers is a tedious job that you can make easier with grading stamps as a gift. There are generic stamps that says “Good job!” or “A+” at your supplies store. Of course, you can also give her personalized self-inking stamps. Anything personalized is also much appreciated. 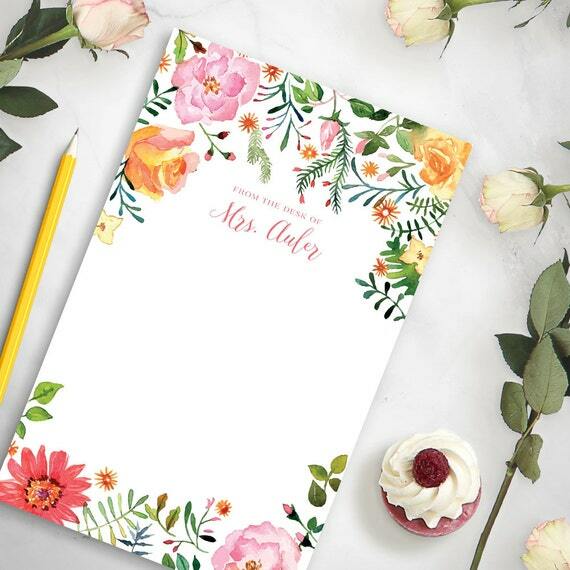 From notepads to pencils and sign pen to keychains, customized gifts are not only beautiful keepsakes but also mementos that reminds the preschool teacher that she is cherished every single day she comes to work. As a parent, you can talk to other parents who are willing to share so all of you can purchase something expensive for the teacher. 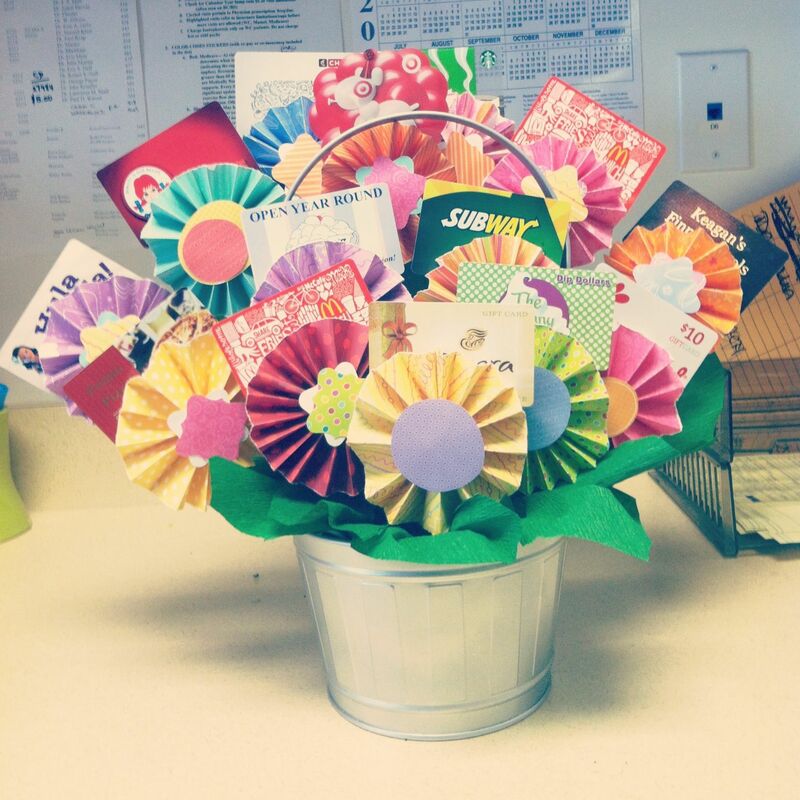 It can be gift certificates or subscriptions to teacher's magazines formed into a bouquet. Have you heard of ElementaryBox.com? It's a subscription service that sends a box filled with things a teacher will need inside her preschool classroom. A month's delivery costs $29 and ships to the United States only. Movie gift cards are your other options. Preschool teachers also need an apple a day hence a fruit basket is a good idea. Put a few pieces of seasonal (and colorful) fruits on a basket. It's sweet and budget-friendly. But make sure that the fruits of choice won't perish immediately. Choose fruit pieces that the teacher can store for two more days. If the teacher is into plants and flowers, you can bring flowers in a vase or a potted plant. Succulents, herbs and mums are just some of your choices. To add a personal touch, you can DIY (do-it-yourself) the vase or pot. Teachers appreciate it more when the student is involved in the gift-giving process in some way somehow, not just because of the initiative of the parent. Two gifts in one will be a sure winner. Just place the treats in a mason jar that the preschool teacher can use for many times over. You can have the jar personalized too to deliver your gift in style. Make sure that the teacher is okay with sugary treats though; the teacher might have a health issue that no one knows. A preschool teacher, while some of the things she needs are already inside the classroom, always need something to tote. 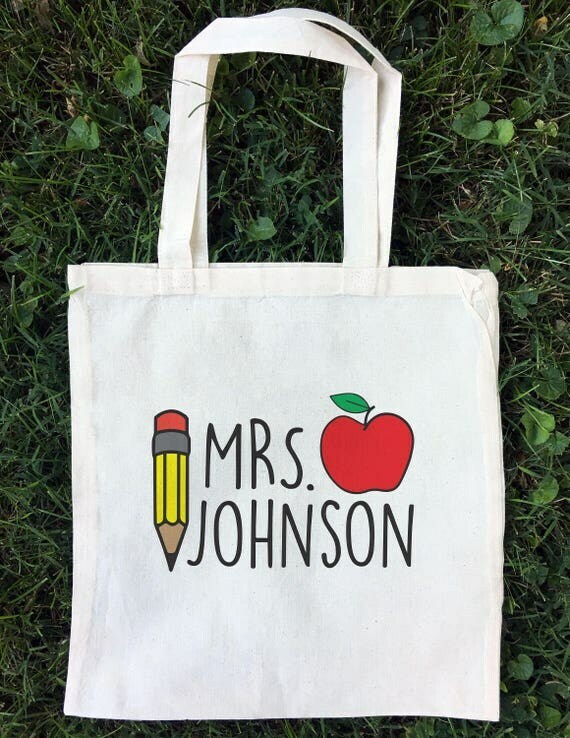 A personalized tote bag in her favorite color is something she can use throughout the school year and beyond. Keeping track of the lesson plans can be impractical at times. Thus, you can give her a bookmarker bearing her name. Pick a stylish one. Give your preschooler's teacher a piece of jewelry that she can wear daily such as a cuff bracelet. 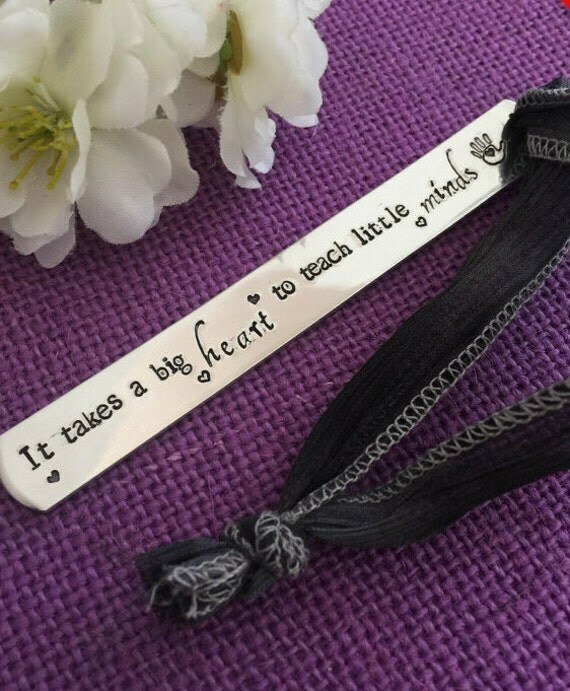 You may choose handmade bracelets primarily designed for teachers. Or, you can choose to engrave the teacher's initials. Whatever you decide to give to your kid's teacher, know that she will appreciate it. Just the thought of having someone appreciate her job will be treasured for as long as she can remember.